Crossbill Guides: Dordogne by David Simpson and Frank Jouandoudet (Crossbill, 2018, Arnhem, The Netherlands). 256 pages, numerous colour photos and maps. Dordogne isn't an area of France renowned for pulling in naturalists, certainly compared with, say, the Camargue or Pyrenees. However, as is clearly and informatively laid out in this typically excellent Crossbill Guide, the region boasts both wildlife and habitats worthy of coverage. I have multiple cherished memories of Dordogne as it was the staple family holiday for many years – my first Hoopoe, for example, is a moment I'll never forget. Birders and wildlife lovers with children, perhaps, are a section of the travelling naturalist market that Dordogne is particularly suited to, as well as those seeking a more relaxed nature-based holiday. This guide caters to such prospective travellers perfectly. One of the most popular tourist destinations in France, the region is renowned for its charming and idyllic rural Gallic landscapes, many of which feature in the guide. You'll perhaps be surprised at some of the species that can be found in Dordogne – a Black-winged Kite on the front cover arouses interest straight away, and the presence of False Ringlet is sure to grab the attention of lepidopterists. Crossbill Guides are nothing if not thorough, with detailed information taking you through habitats, history and wildlife overviews to walking routes, extra-curricular activities and local food. I very much enjoy such in-depth information as I like to peruse material on areas I am visiting at great length. It also makes you feel like you're buying more than just a 'where to see' guide. That said, for the quickfire lister this is perhaps not the best layout, but then again Dordogne is unlikely to be on such a person's radar. The only real negative I could find is nothing to do with the book itself, but the sad detailing of the relatively recent decline to regional extirpation of Little Bustard and Ortolan Bunting, two species that would undeniably give Dordogne that little drop more of X-factor. However, this is a superb guide to the region. 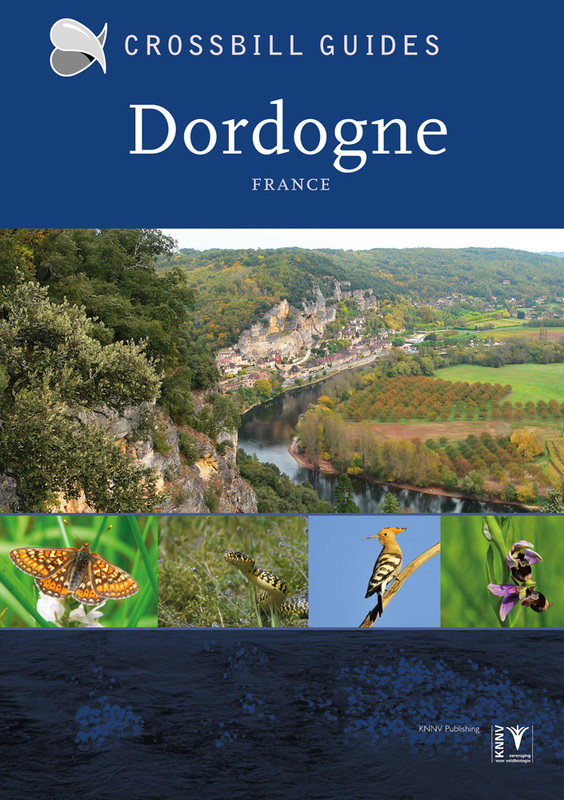 If you are familiar with Dordogne, planning a trip there or unsure as to where your next summer holiday should be, this publication comes thoroughly recommended. Indeed, I am already daydreaming about endless sunflower fields, balmy evenings and a glass of merlot.